Extractor fans are designed to get rid of all the grease, smells and fumes that are produced when we are cooking. 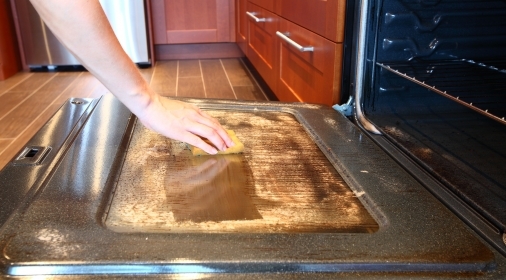 Many of us don’t even consider cleaning our extractor fan, but just like our ovens, they need regular attention. 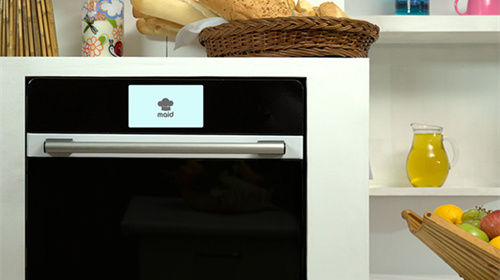 Without cleaning your cooker hood, it can easily become blocked up and hazardous. In order to keep your extractor fan working as efficiently as possible, we recommend having a professional clean at least once a year. In between cleans, use this quick guide to keep on top of the cleanliness of your cooker hood. To be safe, be sure to turn off the electrics to your extractor fan before you start. Remove the outer casing. You may need a screwdriver for this step. To be able to access the rest of your extractor, you will need to remove the casing from the extractor. Using warm soapy water, clean the outer casing of your cooker hood from any grease and dust that has built up over time. In some extractor fans, it is possible to unclip the fan from your extractor. If so, remove the fan and wipe it down with warm, soapy water. 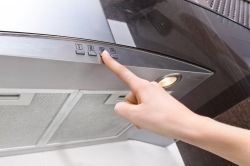 Next, remove the filter from your extractor fan and wash in warm, soapy water. If there are any difficult areas that you cannot get into, use a toothbrush to get into these small corners. Please note, If you have a paper or carbon-based filter you should check your manufacturer’s guidelines before cleaning the extractor filter. Make sure everything is completely dry, then reassemble. You’re done! Sit back and relax. 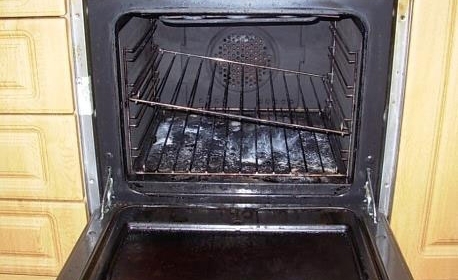 If this all sounds a little more technical than you’re comfortable dealing with, and you’d rather leave it to the experts, our specialists work nationwide and can clean a wide range of appliances, including both ovens and extractor fans. To book in your professional clean call us on 0800 840 7127 or click here for a free quote.